In July 2016, African leaders decided to undertake institutional reforms of the African Union. The reforms aim to accelerate, reinforce and ensure service delivery to Africa’s citizens, with a special emphasis on pan-African values of unity, solidarity, freedom, and equality. Mr. Paul Kagame, President of the Republic of Rwanda, was appointed to lead the AU institutional reforms process. He appointed a pan-African committee of experts to review and submit proposals for a system of governance for the AU that would ensure the organization was better placed to address the challenges facing the continent with the aim of implementing programmes that have the highest impact on Africa’s growth and development so as to deliver on the vision of Agenda 2063. The resulting outcome, popularly referred to as Kagame Report, made five main recommendations for institutional reform out of which top in priority was to ensure that the continent’s political affairs, including secessionist movements, are handled in such a way to ensure peace, and security. However, following the contents of the report, nothing much has been achieved towards ensuring that secessionist intents in the continent is given the desired attention it deserved. It appears as though, African leaders fear the seed of secessionists germinating in their backyards if they go all out to secure other nations’ sovereignty agitating for self-determination. Ironically, however, the struggle for Africa’s independence was waged under the banner of the right to self-determination, and African states and then Organisation of African Unity gave financial and diplomatic support to the liberation movements of Guinea-Bissau, Angola, and Mozambique. Yet the same African states and the AU denounced Biafra’s attempted withdrawal from Nigeria and similar struggles in Southern Sudan, Chad, and Eritrea, without reference to the possible merits of their peoples’ claims to the right of self-determination. Biafran secession in particular, was condemned as a priori detrimental to African interests: it was incompatible with the goal of African unity, so they thought, and would get a precedent that could lead to the further balkanization of the continent. This I consider weird and insensitive to the plight of Biafrans in Nigeria who felt the denigration and denouncement of the African Union to their inalienable right and calls for separation and self-rule. Little wonder, it had given less or no attention to the separatist agitation championed by the Indigenous People of Biafra (IPOB) which has almost reached its climax in recent times in Nigeria. As a matter of political realism, after independence, African governments were virtually unanimous in agreeing that respect for existing European-delineated boundaries should be a guiding principle in inter-African relations; it was felt that any attempt to redraw them could plunge these states into internecine conflict. The wisdom of this principle is universally acknowledged. However, over time it had been extended to rule out even those territorial charges that may originate from conflicts internal to individual states. In other words, the principle of respect for the geographical status quo is now expected to proscribe not only irredentist demands at a level of inter-state relations but also secessionist attempts by purely domestic groups. In the same light, the Nigerian President, Gen. Muhammadu Buhari, in a recent widely publicized report, seriously advocated for world leaders’ support for the sovereignty and independence of Palestinians agitating in far away Middle Eastern state of Israel and also that of the Western Sahara. There is therefore, an apparent contradiction between African support for self-determination under colonialism and opposition to the application of the same principle in a pre-colonial setting. But the questions African leaders should genuinely consider amongst themselves are: what makes the demand legitimate in one case but not in another? Does the principle of self-determination have a racial basis? Are the circumstances in which it can have validity in independent Africa? “Globally, national aspirations of indigenous peoples or groups must be respected; people may now be dominated and governed only by their own consent. Self-determination is not a mere phrase; it is an imperative principle of action…” That was the candid submission of Woodrow Wilson in his famous self-determination speech on February 11, 1918, after he announced his Fourteen Points on January 8, 1918. By extension, the term ‘self-determination’ has come to mean the free choice of one’s own acts without external compulsion. Nonetheless, the AU has been described as new wine in old bottles because of its failure to protect human rights in member states. The objectives and principles of the union as set out in Articles 3 and 4 include clear provisions of democratic institutions, observance of human rights, and the rule of law and handling of gender issues. Unfortunately, in Africa, in the states, there are few checks for the recognition of human rights. The African Union deliberately shies away from condemning not to talk of intervening in countries where innocent and unarmed peaceful separatist agitators are clamped down by military might by the central government. Indigenous separatist agitators in Nigeria and Cameroon had suffered series of dehumanizing and worst extrajudicial killings in the hands of the security forces of their host countries for merely exercising their rights to self-determination while the AU feigns ignorance of these inhumane acts meted on its citizens. Perhaps, AU is waiting for the conflict in these West African states to deteriorate to such an uncontrollable height before it could act. It appears the provisions of the AU and UN Charters on peoples’ rights and rights to self-determination, respectively, are mere documentations and not meant to be applied after all. The AU only managed to intervene in Sudan where the conflict had arisen between Khartoum and Juba after the Comprehensive Peace Agreement (CPA) of 2005 and eventually this resulted in a new state of South Sudan on 9 July 2011. 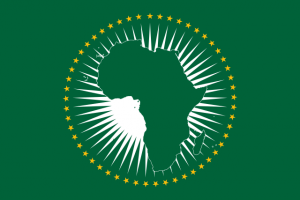 The African Union could not achieve the peace and UN was allowed to impose sanctions if the three months from 25 April 2012 would not be respected. President Kirr of South Sudan got a US$8 billion loan to build hydroelectric infrastructure, roads, hospitals, and 5 universities. In the case of Sudan, if Africa had no oneness it would find itself divided to the South Sudan and North Sudan in a war. Currently, such a war is in progress and the AU has not managed to deal with the crisis. To achieve African integration or cooperation, the Pan-African Parliament stands for the legislative role. It has to play an oversight role in actions of African executives. That role promotes checks and balances for accountability. It is therefore, time for the AU to rise up to its expectations and do away with all those archaic theory of people respecting the territorial integrity of their host countries. Indigenous peoples in Africa, irrespective of their tribe, colour and location, has the right to decide their political future and where they want to belong. No single African leader should hold down anyone’s right to freely agitate for self-determination as it is inalienable and applicable to all humans on planet earth.